He serves as the Chair of the Nominating and Corporate Governance Committee and is a member of the Compensation Committee of Diplomat. Kenneth O. Klepper, served as President and Chief Operating Officer of Medco Health Solutions, Inc. (NYSE: MHS), a supplier of pharmacy benefit management, mail order and specialty pharmacy services, from March 2006 until the April 2012 acquisition of Medco by Express Scripts, Inc. He joined Medco in June 2003 and served as Executive Vice President, Chief Operating Officer from June 2003 through March 2006. Previously, Mr. Klepper was employed by WellChoice, Inc. (NYSE: WC), a health insurance company and parent of Empire Blue Cross Blue Shield of New York, where he held the positions of Senior Vice President, Process Champion from March 1995 to August 1999 and Senior Vice President for Systems, Technology and Infrastructure from August 1999 to April 2003. From 1991 to 1995, Mr. Klepper served in management roles at CIGNA Health Care. Mr. Klepper is a member of the Defense Business Board and the Chief of Naval Operations Executive Panel, where he has served four CNOs. He also serves on the Board of Directors at the United States Naval Institute. Mr. Klepper has extensive operating, compliance, technology, financial, and accounting experience and expertise from his various employment. 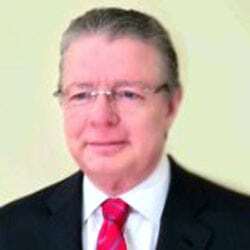 In particular, his services as an executive for over 20 years in the healthcare industry, including six years as a leading executive for a provider of specialty pharmaceutical services, provides him critical industry insight and related operations, strategic, marketing, acquisition and senior leadership expertise. Mr. Klepper also has over 17 years of serving in executive roles for public reporting companies, from which he has expertise in finance, financial reporting, accounting, corporate governance, compensation and risk management.